CUANM works hard to enter into partnerships with companies that give New Mexico Credit Unions a competitive advantage. We also partner with those who share our commitment to provide superior products and services at reasonable prices. This is one of the primary ways we assist credit unions in serving their members. Listed below are some of the companies we are proud to call partners, as well as a broad overview of the services they offer to New Mexico credit unions based upon their strategic alliance with CUANM. The CUNA Mutual Group is the leading provider of financial services to credit unions and their members worldwide – offering lending, protection, financial, employee and member solutions through strategic partnerships, technological innovations and multiple service channels. The mutual insurers of the CUNA Mutual Group are owned by and operate to serve the best interests of their policyholders. – Cost-effective methods for improving credit union lending results. – Creating financial strength and stability for credit unions. – Helping credit unions recruit and retain the right people with benefits packages, tools and support. – A partner committed to protection – providing insurance, risk management and innovative solutions. 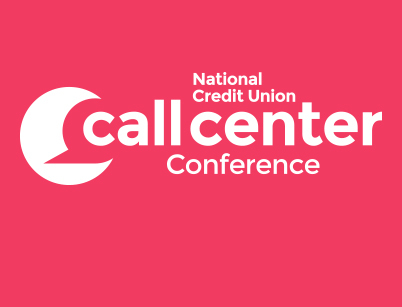 – Helping credit unions strengthen their member relationships while contributing to the bottom line. CUNA Mutual Group is an endorsed vendor of the Credit Union Association of New Mexico. For more information, please visit the CUNA Mutual Group website. Email amy@cuanm.org for more information about the CUNA Mutual Group. Catalyst Corporate Federal Credit Union is a full-service, wholesale financial institution providing a cooperative value proposition to more than 1,500 credit unions nationwide. Core service areas include Payment Solutions such as ACH, Remote Deposit and Mobile Banking; Investment, Liquidity, and Technology Solutions, all designed to maximize efficiency by leveraging aggregation. For more information, please visit the Catalyst Corporate Web site. Email amy@cuanm.org for more information about Catalyst Corporate Federal Credit Union. Harland Clarke was formed in 2007 combining the products and services of Clarke American Corp. and the printed products segment of John H. Harland Company. Together, both highly respected companies have over 200 years of combined experience, each with a rich heritage, traditions of innovation and performance excellence. Harland Clarke offers an expanded suite of direct marketing services, delivery & anti-fraud products, contact center services and checks & check-related products to credit unions. Harland Clarke is a leading provider to financial and commercial institutions as well as individual consumers and small businesses. The company, headquartered in San Antonio, Texas, has a national presence with manufacturing facilities and customer service centers across the country. Harland Clarke is an endorsed vendor of the Credit Union Association of New Mexico. For more information, please visit the Harland Clarke website and request to be contacted. No matter what your asset size, we can help your credit union prosper. 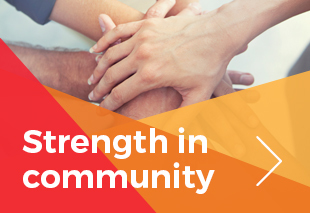 By taking advantage of Service Corp products and services, you not only benefit your own credit union, you build a stronger credit union industry for us all. For more information, please visit the LSC website. Email amy@cuanm.org for more information about LSC. CUNA Strategic Services (CSS) has created partnerships with carefully chosen providers which save credit unions money and time. By providing the products, services and technologies credit unions need in the modern financial marketplace, CUNA Strategic Services’ goal is to position credit unions to compete more effectively. CSS offers strategic relationships that provide the best overall value for quality products and services, and at prices less than what your credit union could receive without these relationships. The Credit Union Association of New Mexico fully supports most of the vendor relationships managed by CUNA Strategic Services. For a detailed listing of all of the vendor partnerships that CSS manages, please visit the CUNA Strategic Services website. Email amy@cuanm.org for more information about CUNA Strategic Services. The Credit Union Association of New Mexico is partnered with PolicyWorks to provide ongoing compliance support. Specifically, credit unions will receive regular compliance information such as e-newsletter, Q&As, and compliance bulletins, and PolicyWorks will assist in answering your regulatory compliance questions as part of your dues based services with CUANM. JMFA consistently delivers exemplary results, and is proud to be an endorsed service provider for the Credit Union Association of New Mexico since 2003. John M. Floyd & Associates is an endorsed vendor of the Credit Union Association of New Mexico. For more information, please visit the JMFA website. Smith Financial Consulting LLC (SFC) is a private, financial services consulting firm that exists to help credit unions of all sizes compete in the financial services market by helping improve vendor relationships and finding new sources of income. We fight for our clients interests alone. We do not accept any type of compensation from any associated vendors, financial payments, or other, in order to focus on the needs of our clients interest as our first priority. This clause is in our agreements. We understand the unique New Mexico EFT landscape, and have a representative located in Albuquerque to discuss your current challenges right away. •	Have a custom project? Let us know and we will help you out! Email amy@cuanm.org to get started with improving your card service related products today. CU Solutions Group is a credit union service organization (CUSO) that serves the credit union industry through three key divisions. Our technology, marketing & performance divisions help credit unions on a national scale. Our company’s dedication to the credit union mission is reflected through service excellence to over 3,000 credit union clients across the country, credit union league partners across 48 states, and key partners such as Sprint, Intuit TurboTax and GSTV. Contact Amy Vigil at amy@cuanm.org for more information. Everyone is looking for ways to save money these days. And that’s just what Love My Credit Union Rewards is all about – helping credit union members save money on the products and services they use every day. Your credit union, members, and employees can save with discounts on Sprint Nextel services and equipment. Make membership even more valuable by offering exclusive discounts: marketing incentives make it profitable and free marketing materials make it simple. The Sprint discounts are part of the Invest in America program. Love My Credit Union Rewards program is endorsed by the Credit Association of New Mexico. For more information, please visit the Sprint website. Email amy@cuanm.org for more information about Invest in America. For further information on any of the strategic alliances presented here please call Amy Vigil at 505.338.4222 or email to amy@cuanm.org.